On October 22, 1964, existentialist author Jean Paul Sartre was awarded the prestigious Nobel Prize for literature, which he chose to decline. His refusal was not an impulsive decision, but rather one based on longstanding personal and objective considerations. Sartre had also turned down the French Legion of Honor, as well as other accolades and honors in the past, so the folks on the Nobel committee were in pretty good company. 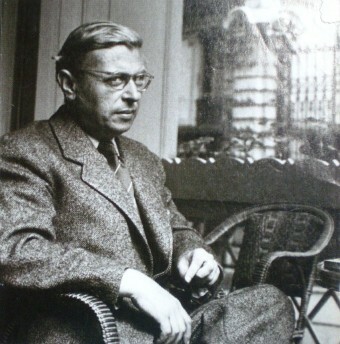 Sartre’s work advanced the philosophy of existentialism – the belief that each person must create meaning in their own life because life itself is essentially meaningless. He was a professor of philosophy in Le Havre, Laon, and Paris, and published his first novel Nausea in 1938. He fought in World War II and later worked with the French Resistance. In 1942, Being and Nothingness was published, which turned out to be his best known work. This attitude is based on my conception of the writer’s enterprise. A writer who adopts political, social, or literary positions must act only with the means that are his own—that is, the written word. All the honors he may receive expose his readers to a pressure I do not consider desirable. If I sign myself Jean-Paul Sartre it is not the same thing as if I sign myself Jean-Paul Sartre, Nobel Prize winner. Sartre, always an active champion of left-wing social issues, had been pardoned by French President De Gaulle for his part in the 1968 uprisings. “You don’t arrest Voltaire,” De Gaulle supposedly said. Just the sort of remark that intimated Sartre was an institution, and the very reason he declined to accept the Nobel Prize.